BearClaw Records was founded in 2005 by Husband and Wife Allen Mose Jr. and Kimberly K. Mose. The Moses had opened the first recording studio at 1726 Clemson Drive in Colorado Springs, and their involvement with Native American music began when Allen , himself recording an Album. They were so taken with the CD that he recorded, a collection of songs titled “Entity”. This album is still in active release. To promote the album, the Moses took the CD Album Global. For most of the music listeners, the recording was only a curiosity, but for Native Americans it was a revelation and the album was well received within the Native community across the Country. Before the end of that year (2005), a very close friend to the Moses suggested they record a father/ son Album. They took the idea to heart and soon began recording the album of Allen and his son Orian Jay Mose. 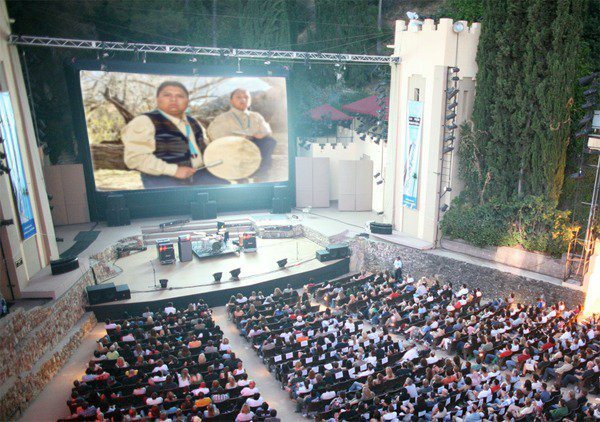 Their new label, BearClaw Records, was a sister company to BearClaw Native American Entertainment, a company also founded in 2005 specializing in Entertainment by Native American Performers. Prior to BearClaw Records, the hand full producers of Native American music did so primarily for scholars and academics. In contrast, the Moses tailored their releases to fit the needs and requests of the Native community across the nation. BearClaw Records served as an important commercial outlet and supporter of the Native American music, culture, and community in Colorado Springs and surrounding towns and Cities. In 2010, the Moses moved BearClaw Records to Albuquerque, N.M., As they started a new chapter in their lives by relocating in a state defined by Enchantment.